This is less of a review but more of a way of spreading the word about this fabulous product for hairdressers. 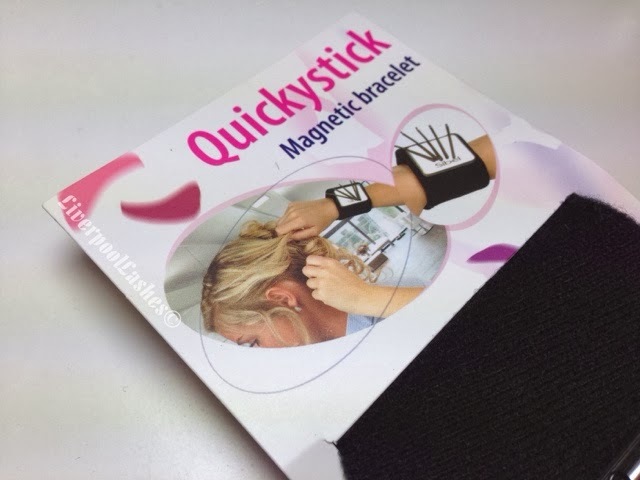 I came across the QuickyStick Updo Magnetic Bracelet in Salon Services and knew straight away that it was a great idea. 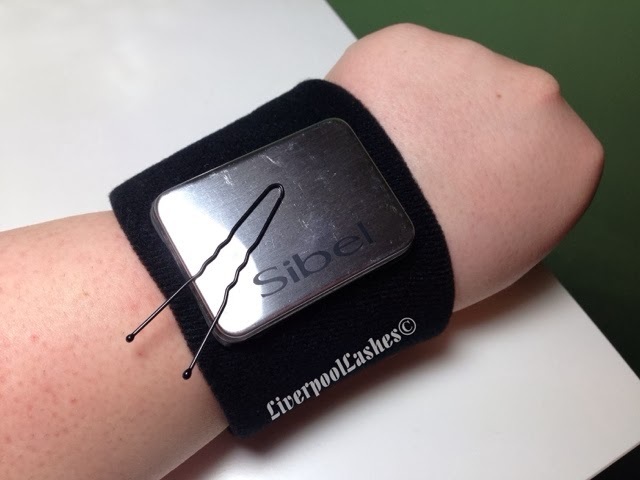 This bracelet is a soft touch material with a large magnetic plate that will hold a lot of metal hair pins. The idea behind it is that whilst you're holding the hair in place during an updo, you can wear the bracelet on this wrist. Then you can easily use your other hand to pull the hair pins off the magnetic and place them directly into the hair. This is such a basic concept but saves messing around with boxes of clips or trying to reach to the nearest table or trolley whilst still holding the hair in place. I also love how soft the bracelet itself is. 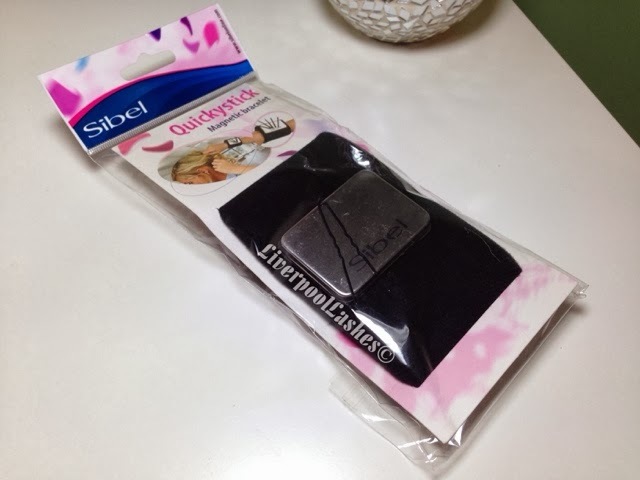 It has a Velcro fastening on it, therefore it suitable for all wrist sizes and is genuinely really comfy to wear. 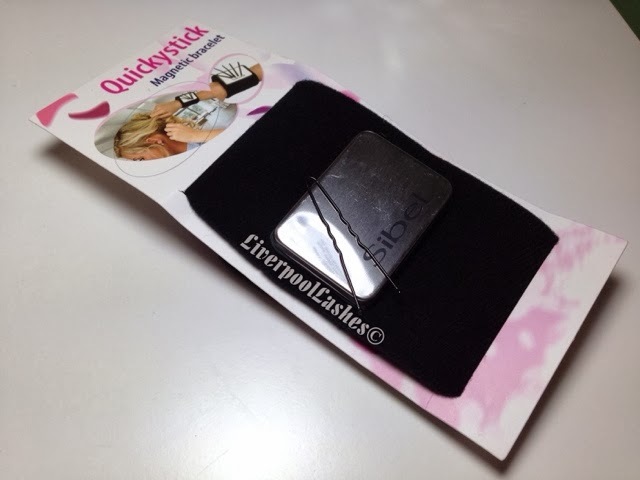 I think this would be a thoughtful present for any hairdressing student, qualified hairdresser or even a make up artist that might offer hair ups for bridal packages for example.